Independence Air began operations in 1989 as Atlantic Coast Airlines and is a form of a low cost airline carrier in the United States. The airline company however ceased all its operations on January 2006. 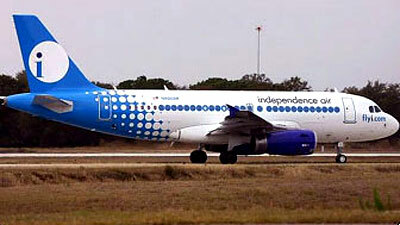 Independence Air used to operate domestic flight to 37 destinatios. The primary hub used for most of its flights is in Dulles International Airport. iCLUB is Independence Air's frequent flyer program. The company was owned by FlyI, Inc. with headquarters located at Dulles, Loudoun County, Virginia. Independence Air used to operate 85 aircraft in its overall fleet and the models include mostly Bombardier CRJ-200 and a dozen of Airbus A319-100.